The only city in the world to have its name in the word sTARTUp. 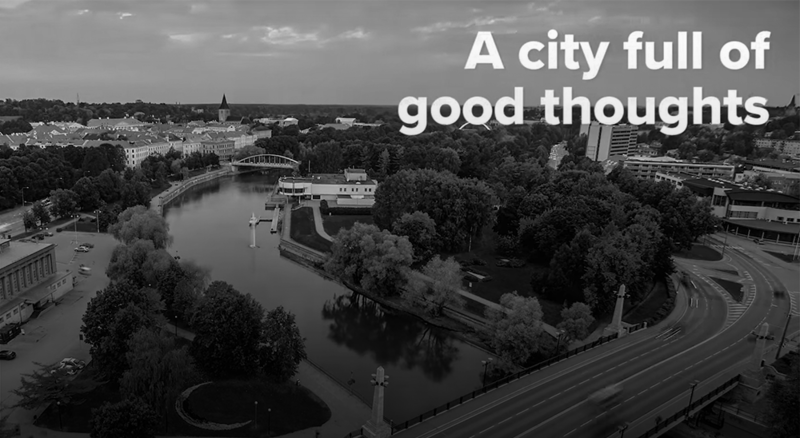 sTARTUp Day takes place in South-Estonia in a town called Tartu. It is a green city of students, intellectuals, and creatives. Home to one of Northern Europe’s oldest universities, Tartu offers a wide variety of landmarks and places to visit, including museums, cultural objects, resorts, and bars both in winter or summer. It’s always easier to find your destination when you know what you’re looking for. To make it easier, we made a simple classification of possibilities, which might interest you. Upside Down House is a dazzling adventure for everybody, both children and adults. The house is literally turned upside down – upstairs are downstairs and vice versa. Every element, including furniture, decorations, and plants are upside down. Don't worry, you don’t have to climb on the ceiling, the ceiling is just the floor (etc). Positioning right next to ERM, Upside Down House is a fun stop while visiting Tartu and looking for a bit of wonder. On 23rd to 27th January, all sTARTUp Day visitors will get 10% off with a festival wristband. On 24th and 25th January, the house is open until 8 PM, so you can enjoy something fun after festival days. Tartu Festival Arena is a smaller counterpart of our main Festival Arena in Tallinn. Although smaller, our venue also provides spectacular views and is a great place for enjoying open-air concerts or having a walk with your loved one. Many parks, leisure tracks, and a vicinity of the Emajõgi river makes Tartu Festival Arena a great place for a stroll or a photography session. In winter, you can also rent ice-skates and have a blast in the skating rink. Toomemägi Park offers fantastic views of the Old Town of Tartu and holds the heart of Tartu’s history. On those hills stood the fortress of Toomemäe, what has first mentioned 1030 AD and therefore became the founding date of our lovely city. Through the times, many bastions have been dug and concurred here, leaving only a hint of its vivid history visible today. You can still see the occasional remnants of the stone wall, also with the beautiful ruins of Dome Cathedral. Botanical Garden of the University of Tartu is a must-see landmark for the photographers and lovebirds. This beautiful venue has been here since 1803 and hasn’t changed very much since. Beautiful park with a pond and hills offers magnificent colors in every season and has been the favorite spot for students to have a picnic. Estonian National Museum (ERM) is a new and spacious museum with lots of topics to cover. Here you can see exhibitions ranging from -8000BC to this day, different cultural segments and objects from every aspect of life today and before. ERM is a great place to spend hours among family and friends and get an insight what defines us here as Estonians. The very first sTARTUp Day event in the year 2016 also took place there. Estonian Print and Paper Museum is truly a hands-on experience for every visitor. Have you ever wanted to make your own notebook? Well, we have! The museum shares practical insight into the magnificent world of printing technology and paper, making it one of our favorite museums in town. Rüütli street is located in the heart of Tartu, connecting the town square and Botanical Garden of the University of Tartu. Of course, there are many cozy bars on the way! Kivi, Trepp and Vein ja Vine are only a few of the many venues you may discover from Rüütli street. A little further from the old town of Tartu, two yet different worlds exist. In a bunker under the Toomemägi, an old gunpowder cellar with bricks more than 300 years stands proud. Today, this fragment of history – Püssirohukelder, serves as a unique beer restaurant with the highest pub ceiling in the world. Few hundred meters from there we find the best „culture bar“, as we like to call it – Naiiv. Although Naiiv has been here slightly over 5 years, it quickly won the hearts and minds of Tartu.